It’s time to face the facts. Even the most well-thought out plans for a kitchen remodel can hit some bumps in the road. 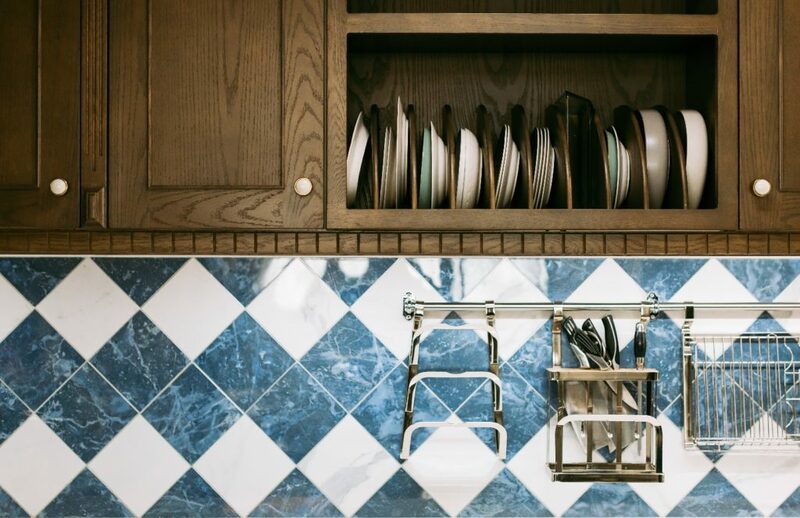 Whether it’s a cabinet that just doesn’t fit snug or wall paint that doesn’t look as well as you thought it would, most professional contractors out there can tell you about a mishap with a kitchen remodel that they have experienced firsthand. Thanks to those irritating mistakes that others have endured however, we can offer five great tips to help you avoid making those same mistakes yourself as you plan your own kitchen remodel. With the busy lifestyles that many of us lead today, alone time can be scarce and being able to work alone is often a nice way to get things done without having to explain how to do things to someone else. If you’re planning a major home remodel such as a kitchen remodel, alone time is not always a good idea at all. Hiring a professional kitchen remodel contractor is a good idea as they will be able to not only help with the design, but they can also help you with an overall budget that will be required for the project. You will also want to schedule a consultation with a licensed plumber in your area to discuss sink installation (some great information on this located here), a garbage disposal installation or running water lines to a new refrigerator. Having a second, and sometimes even a third set of eyes, and hands will help you stick to a budget and have a kitchen you are happy with. Before you even begin the work, make sure you have carefully planned every detail of the remodel. This includes your materials, cabinet or other furnishings, the best kitchen flooring, paint, tools and labor charges if you are hiring a contractor. Call contractors and get a detailed estimate for the remodel ahead of time and make it clear that you have a budget and cannot go over what you can afford. You don’t want to fall into a money trap and have to come up with more money to buy things you didn’t include in your original kitchen remodel plans. A huge mistake that many homeowners make is to wait until the new counters or cabinets are installed and the walls have been painted to choose their new appliances. If you don’t plan to buy new appliances, then you’re in luck and can just measure things to accommodate your current ones. For the rest of you, buying the appliances before the work is complete is the best way to make sure everything is measured correctly. Nothing can ruin a kitchen remodel more than having new cabinets or counters installed only to find out that they are a few inches too large and your stove won’t fit in the space it needs to fit inside. One of the goals of a kitchen remodel is to make ample room for storage. Unfortunately for many people, they plan for new appliances and countertops, but often don’t take enough time to consider storage. The kitchen is often called the heart of the home because it’s where families come together for meals and conversation. It’s also the room where your dinnerware, pots and pans, kitchen gadgets, kitchen linens and small kitchen appliances need stored when not in use. Be sure to go over storage details with your contractor to make sure you’ll have enough cabinet space for everything when the remodel is complete. When you are preparing a meal for dinner, you don’t want to walk from a sink or counter at one end of the kitchen to a stove at the other end. While this would be great exercise, it just isn’t logical for cooking a meal. Whether you have a very large or a very small kitchen with limited space, take time to plan everything so cooking, cleaning and even having coffee with a friend will be easy to do. Tips provided from Amer Zaghlouleh at Anytime Plumbing, Inc.